The new iPhone X is arriving next week, and should you be one of the lucky few to get one, be prepared to become a beta tester whether you want it or not. 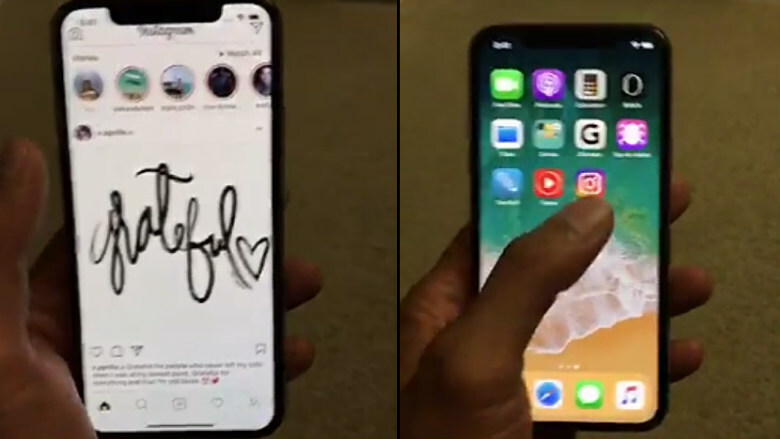 The new iPhone X not only comes with the new Face ID system (which we'll assume to work just as Apple hopes it will) but also brings a new "almost-full-screen-with-a-notch-on-top" screen, and that's what brings us here today. Unlike the Face ID system, where Apple can ensure everything "just works", the notch on the screen is bound to become a bit more problematic. The thing is, no matter how much Apple tells developers to follow certain guidelines, truth is not all of them listen. Even high-profile apps like Instagram show issue with the iPhone X screen (its logo being unnaturally squeezed beneath the notch, apparently because it's using fixed offset positions - which Apple tells developers not to use), and the same will happen with countless others. So, iPhone X users will have to endure some months of "beta testing" as developers adjust to the notch on screen... and some older apps may end up never being updated at all. This isn't exactly new. We've seen similar issues when the iPhone screen first grew on the iPhone 6; as well as when Touch ID came along, and 3D Touch. The thing is, this time you'll be paying $999 to become a beta tester... which next year's iPhone users will thank for.